On the occasion of the implementation start of the project SMARTINNO - Intelligent Network and On Wednesday, December 24th, 2014 at the Business -Technical College in Uzice, within the SMEs week and on the occasion of the beginning of the project SMARTINNO, there was held a promotional event which brought together the companies from the Zlatibor District, institutions which support the private sector and a large number of students. On the occasion of the implementation start of the project SMARTINNO - Intelligent Network and sustainable innovation cluster, the Zlatibor Regional Development Agency is organizing a promotional event SMARTINNO START-UP WEDNESDAY, on Wednesday, December 24th, 2014, starting at 12:00 pm in the amphitheater of the Business-Technical College of Vocational Studies in Uzice. 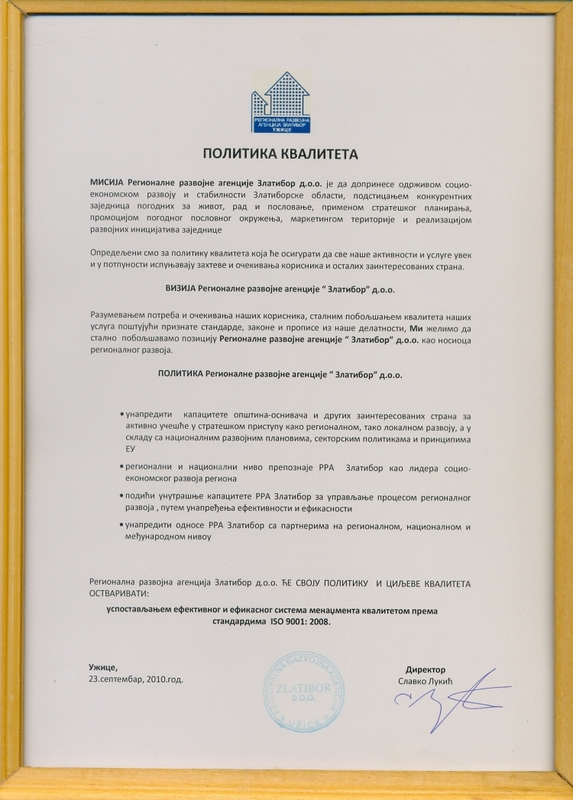 On Wednesday, December 24th, 2014 at the Business -Technical College in Uzice, within the SMEs At the meeting that was held on September 26th, 2014 in Belgrade, the Zlatibor Regional Development Agency and the Serbian Business Angels Network exchanged information on current activities and discussed future cooperation models and opportunities for joint initiatives and projects.